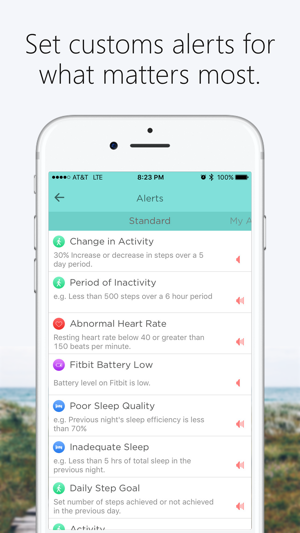 Care|Mind is the first and only Fitbit compatible app that helps you keep track of your loved ones’ health and alerts you to important changes in their step activity, sleep data, and heart rate. 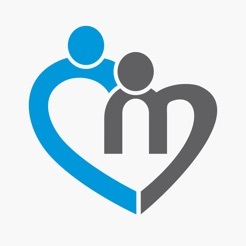 With Care|Mind, you can make sure your family and friends are staying healthy and safe in real-time. Care|Mind works with all Fitbit models, but only certain models (e.g. Fitbit Charge HR) capture heart rate and provide a complete data profile for your loved ones in our app. 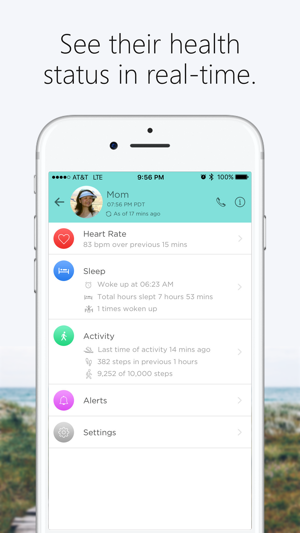 Monitor as many people as you like and see their most recent Fitbit step activity, sleep data, and heart rate in real-time on one screen. 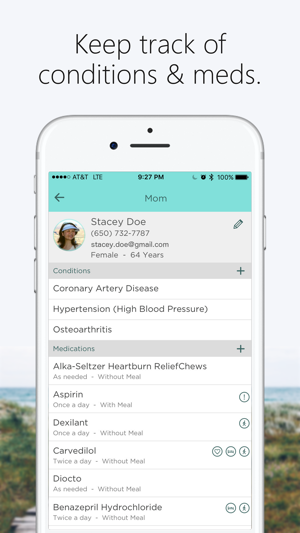 See your loved ones’ data over time and be notified of subtle changes in their health so you can adjust care or notify their health providers. Maintain up-to-date information about your loved ones’ conditions and medications and be alerted if these medications may potentially be inappropriate for your loved ones to take, or if it affects their activity, sleep, or heart rate. 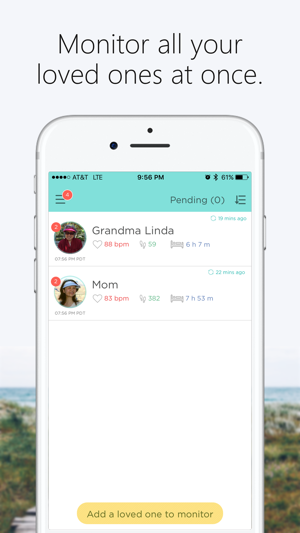 Get the people you care about a Fitbit today and use Care|Mind to keep them safe and healthy! 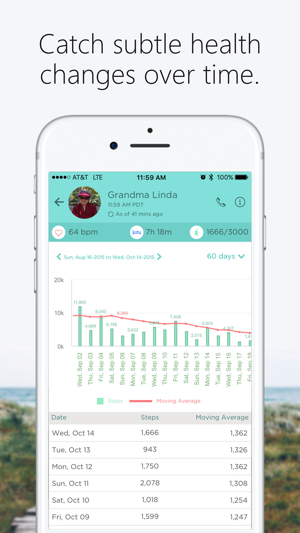 Wonderful app to help me repurpose my old fitbit to help me monitor my grandma who lives on her own. Now i can check in to see how shes doing even during my busy work week. I get a kick out of knowing how many steps I've taken in my one hour Zumba class. It helps keep me physically and mentally Aware of my activities throughout the day. Care|Mind = Peace of Mind! Mom fractured her pelvis recently and Care|Mind not only helped me motivate her thru her daily rehab activity but indirectly alerted me to her pain when she started slowing down and not sleeping well! One word AWESOME!